• multi-layer filter: Pre-filter, Nano-silver filter, HEPA filter, Activated carbon filter, Low temperature catalyst filter. 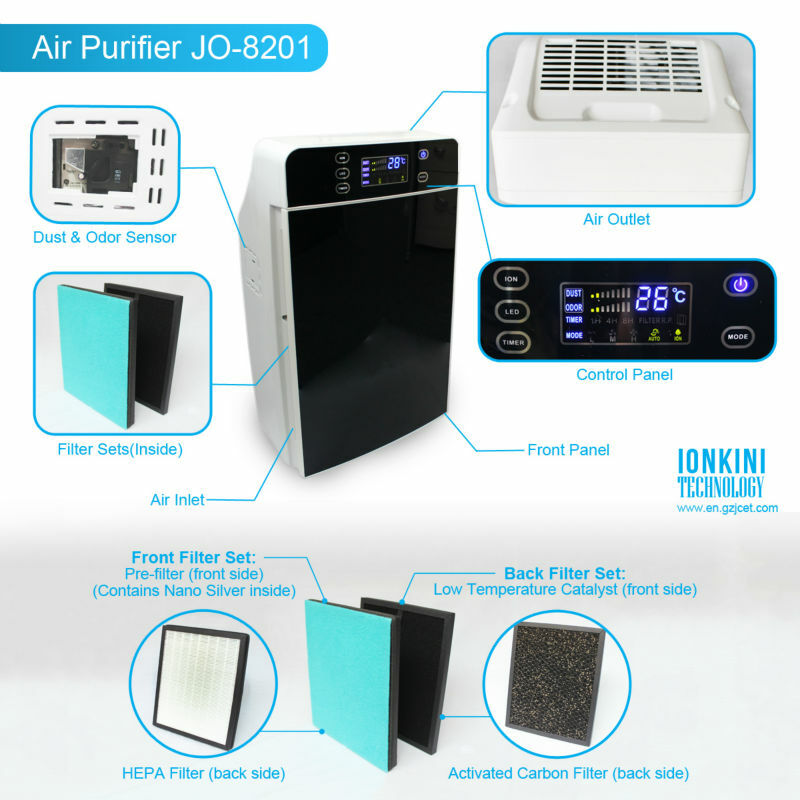 Home Air Purifier JO-8201 is the latest home series product of Ionkini Technology. 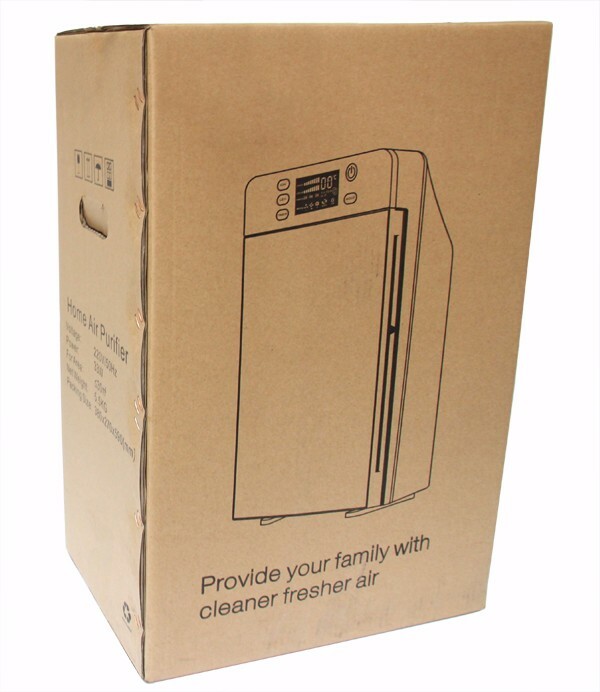 It comes with multi-layer filter and air quality sensors. 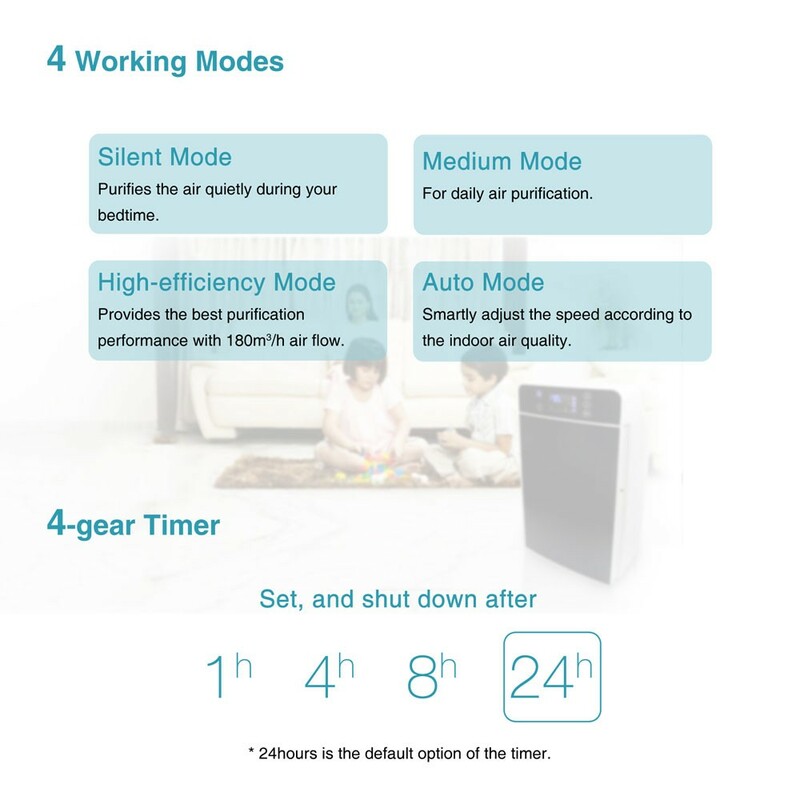 The Pre-filter fitrates the PM10 and large pollutants such as dust, hair and fiber. The Nano Silver Antibacterial Filter eliminates allergens, viruses, and bacteria such as Staphylococcus aureus and H7N9. 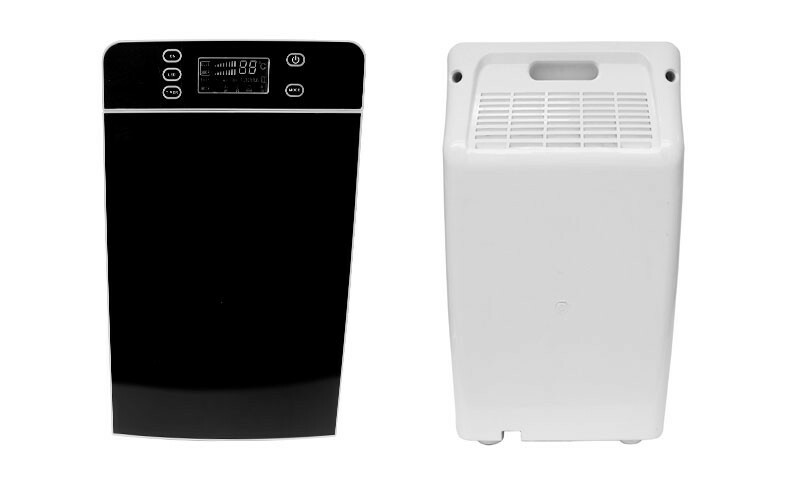 The HEPA Filter removes 99.97% of the airborne particles as small as 0.3 microns including dust mites, pollen, cigarette smoke and other allergens, viruses, germs, and mold spores. The Low Temperature Catalyst Filter effectively decomposes formaldehyde, benzene, ammonia and TVOC. 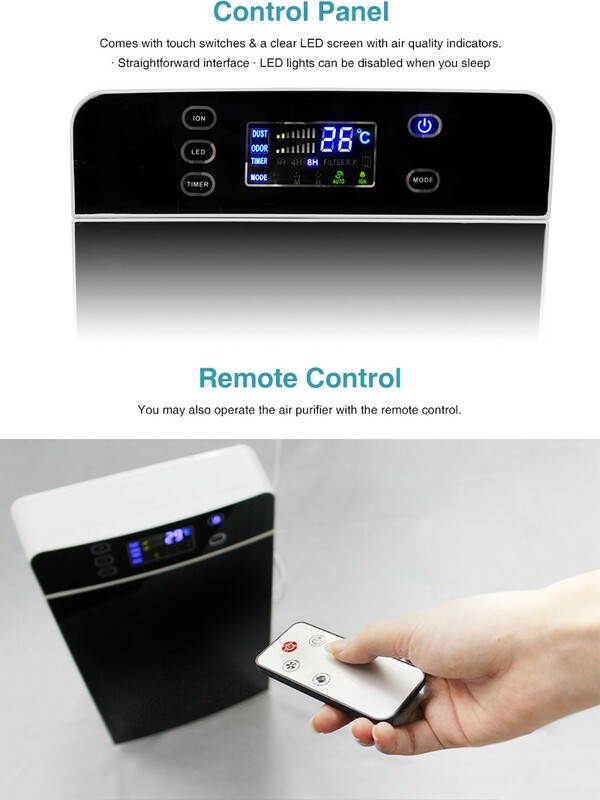 The Air Ionizer releases 5,000,000 pcs/cm3 negative ions which can dispel PM2.5, improve human metabolism, strengthen immune system and relieve fatigue. 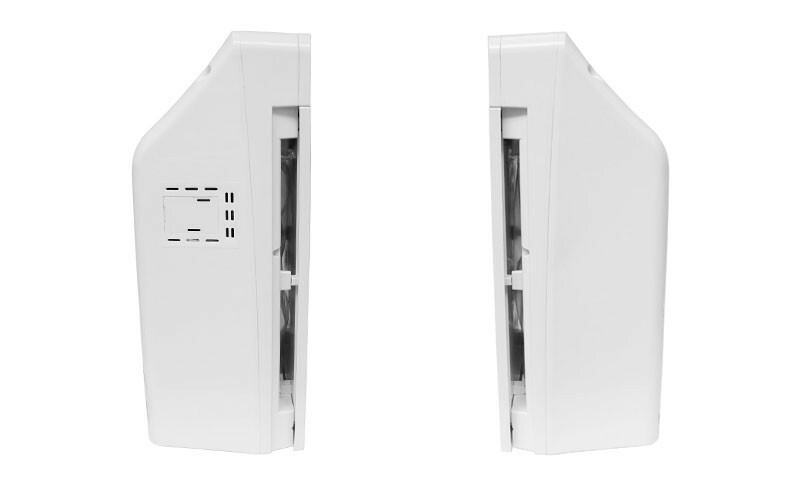 JO-8201 has a user-friendly touchscreen control panel. The screen display can be switched off so that it won't bother you at bedtime. Particulate matter indicator, Odor indicator, Temperature indicator & Filter replacement indicator to inform you about the indoor air quality. 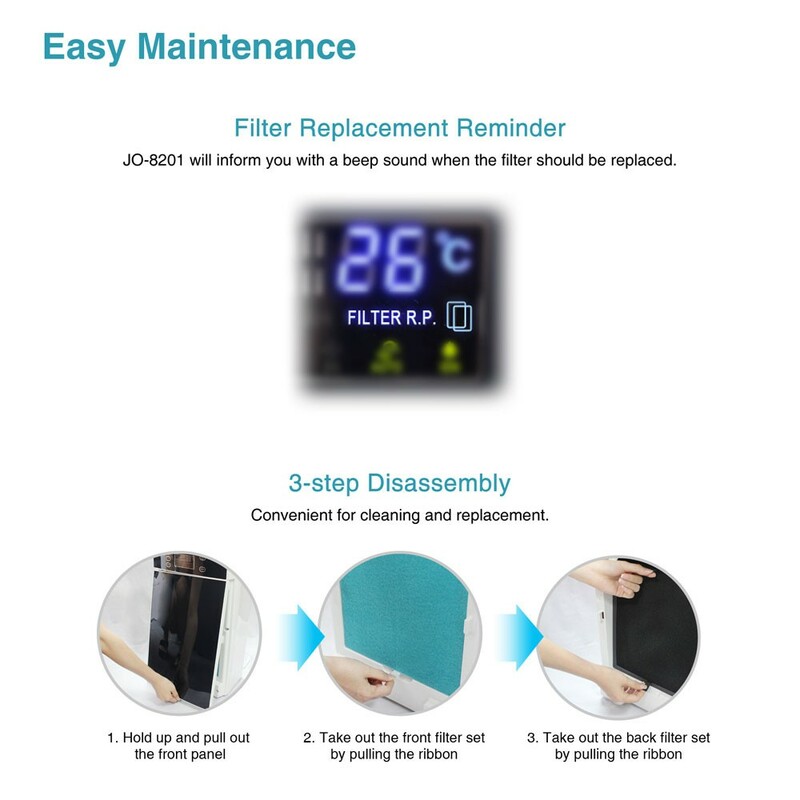 If you are looking for HEPA filter air purifier, JO-8201 would be your best choice. 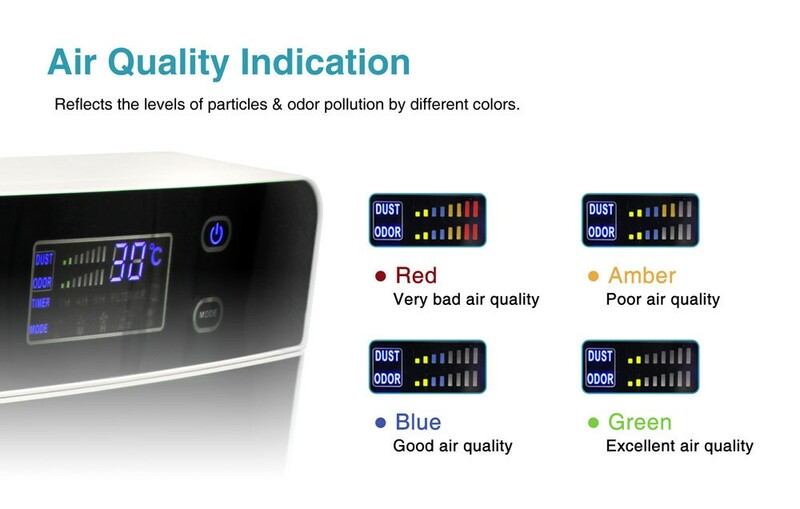 As you can see, JO-8201 shows an excellent performance on particle filtration and it has a sensitive air quality monitor. This product is packed in cardboard box.